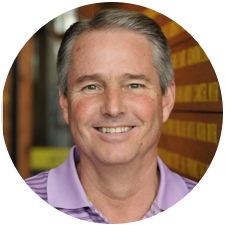 Joe Aragona is a founder and General Partner of Austin Ventures. AV has over $3 billion under management and is the most active venture and growth equity firm in Texas and among the most established in the nation. Since joining AV in 1982, Joe has focused on information technology and growth equity investing and has worked with software, communications, semiconductor and service companies. Prior to joining Austin Ventures, Joe earned both his MBA and bachelor's degree from Harvard University and worked in the Merchant Banking Group of the Bank of Boston and Chemical Bank. Joe was a member of the Board of Directors of the National Venture Capital Association (NVCA) from 1999 - 2006, chaired its Research Committee, and served as Chairman of the Board. Joe is also a member of the Board of Directors of Casa Montessori, an early childhood development center. Join our mailing list to stay informed about programs like these.